Each $69 box contains 6 decks. Each deck contains 63 cards. 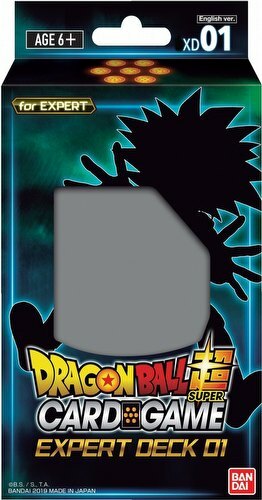 Each Dragon Ball Series 7 Expert Starter Deck box contains 6 decks. Each deck includes 51 cards, a Series 7 booster pack, a rule sheet, and a play sheet. There are 10 different cards exclusive to this deck.